Hal Darling has apparently not dropped off the face of the Earth. And good thing too. His debut album, back in 1996, was a high energy percussion/keyboard dominated roller coaster ride that established a distinct Darling progressive rock/avant-prog sound. The album was a duo project with Hal on drums, keyboards, and sequencing and his brother Bryce helping out on percussion and keyboards. 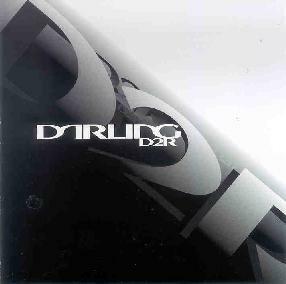 Fast forward to 2003 and the release of the sophomore Darling CD: D2R. Brother Bryce isn't in the lineup, though he's credited as having provided creative input. But project leader Hal has enlisted two additional musicians as "special guests", who bring expanded instrumentation to the music. Hal still plays percussion and keyboards, with Uri Gatton on electric, acoustic and MIDI guitars and Athan Gailis on woodwinds, brass and MIDI horns. The CD opens with the same frantic rolling drumming that characterized the first album, though the keyboards (or is it the MIDI guitar?) and compositional structure give a kind of ELP flavor to the music. But don't get hung up on the ELP reference because that's not what Darling's music is about. The music is intense, but at the same time whimsical and a sense of playfulness and fun pervades throughout the album. In the spirit of true progressive rock, the music evolves through multiple, often dramatic, theme shifts. For the most part it's potent, edge-of-your seat stuff, and once again Darling displays a keen sense of composition and a flair for instantaneous changes of musical scenery that blend seamlessly into one another and keep things continually exciting. Among my favorite tracks are "Aggressive Biological Behavior", "Run" and "Asunder", all of which are like heavy-prog symphonies. The first few minutes of "Aggressive Biological Behavior" transition through a number of relatively calm, but highly emotional and detailed scenes. But soon we hear bits of early 70's heavy organ and then... WHAM!!!... Darling launches into some of the heaviest and most joyfully bombastic music on the album. "Run" and "Asunder" are equally powerful and varied in the paths they take. Hal includes notes about each of the tracks, and some are quite humorous to read. But one tune that is a little different is "Black Rhyme", which Hal reveals in the notes to be "a tribute to some of the rather ominous classical music that I first heard as a child while watching cartoons". The music is dark but enjoyably strange, and the pipe organ is a very nice touch. And "Where Seraphs Despair" has a beautiful orchestral sound and somber mood that I really liked. In summary, fans of heavy driving orchestral progressive rock that includes varied, thoughtful and well executed compositions, will find much to enjoy in Darling's music. For more information you can visit the Hal Darling web site at: http://www.haldarling.com. Contact via snail mail c/o DARLING/Drum Productions; PO Box 34747; Omaha, NE 68134-0747.